A very polite 12-year-old Toby Hill was overjoyed to win an Apple mini iPad in the “Guess the Balloons” competition using Giuseppe car at the opening of their new office in Dark Lane, Backwell last month. Toby who lives in Backwell and goes to Backwell School said that he had only broken his own iPad six months ago, so this was a welcome replacement and the first time he’d won any sort of the competition. However, his 11-year-old sister was not so pleased and cried! 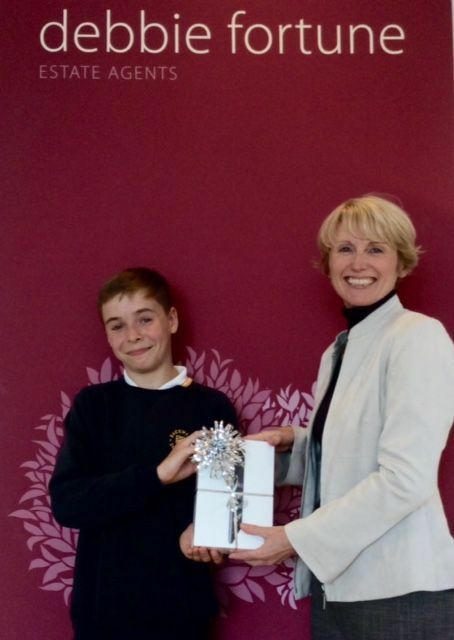 Our photo shows Director Jo Woolley presenting Toby with his prize.